With a $15 million gift from the Falk family and an emphasis on pairing social responsibility and service with experiential learning, the College of Human Ecology becomes the David B. Falk College of Sport and Human Dynamics. The Falks credit their parents’ strong work ethics and the priority they placed on education for their own achievements. Rhonda Falk spent the majority of her career in operations and international software sales management. 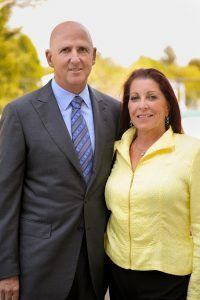 David Falk, long recognized as one of the sports industry’s leading figures, is the CEO of Falk Associates Management Enterprises (FAME) and has represented many of the NBA’s all-time greats, including Michael Jordan and Patrick Ewing. During the past 30 years, Falks’ visionary innovations—and record-breaking contract negotiations—helped shape the evolution of the professional sports business. The Falks’ special connection to SU spans four decades and two generations. They have two daughters: Jocelyn, a 2010 graduate of the S.I. Newhouse School of Public Communications; and Daina, a Duke University graduate. In the late 1990s, the Falks created the Pearl W. Falk Endowed Chancellor’s Scholarship. In 2008, they established the David B. Falk Center for Sport Management, which draws on the leadership and expertise of faculty from several schools and colleges on campus. The following year, they endowed a faculty position, the David B. Falk Professor of Sport Management, recruiting a nationally recognized expert, Professor Rick Burton ’79, to enhance the program’s research, academic, and experiential learning components. In fall 2012, the Falk Center is scheduled to debut a model interdisciplinary master’s degree program in sport venue and event management. Trustee David Falk ’72 enjoys meeting with students when he visits campus. Here, he spends some time with graduating sport management majors. The Falks’ gift will allow the college—portions of which are housed in eight different campus buildings—to relocate to a new, central location to be created at MacNaughton and White halls, currently home to the College of Law. The move will occur once the College of Law relocates to Dineen Hall, a new building for which planning is under way. The Falks’ belief in social responsibility is evident in their personal lives. Rhonda is involved in the Susan G. Komen foundation for the cure of breast cancer. David has served as chairman of the annual Sports-a-Thon to benefit the Leukemia & Lymphoma Society of America, raising more than $2 million in the past decade, and he currently sits on the board of directors of the Congressional Award Foundation, which honors young Americans for volunteer public service and other achievements. The significant presence of experiential learning in all of the college’s academic programs—locally, nationally, or globally—is particularly exciting to the Falks. For decades, the college has maintained professional field placements in social work and marriage and family therapy in Central New York communities. This year, the college sponsored numerous study abroad programs, including public health studies in Amsterdam that focused on global perspectives of alcohol and other drug policies; a comparative review of social work services across France, Germany, and Switzerland; and, exploration of the history of the ancient and modern Olympic Games spanning Athens, London, Paris, and Lausanne. The college also launched two new spring break programs: one that developed from an ongoing collaborative relationship with the University of the West Indies in Trinidad, allowing students in child and family studies to observe and participate in education and social service settings there; the other was a sport management immersion program in Los Angeles that introduced students to representatives from such organizations as ESPN, the Los Angeles Lakers, and the L.A. Coliseum. University Trustee and renowned sports agent David Falk ’72 shares some of his insights with the college’s Class of 2011 during his Convocation address on May 14. “There was very little emphasis on experiential opportunities when I was a student, particularly for a psychology major with an interest in French,” Rhonda Falk says. “Most of our learning took place in the classroom, although there were some credit-based internship courses. I am a very strong proponent of taking classroom learning and applying it before you graduate to gain experience.” David Falk notes the important role alumni can play by offering internships, networking, and job opportunities to students. 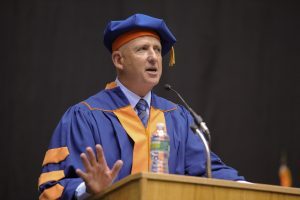 He cites the college’s Sport Management Advisory Board—which he chairs – as a valuable tool in facilitating the link between classroom learning and experience-rich opportunities that will set SU graduates apart from the competition.